Coming from a MK6 into a MK7, I was curious about how you guys are enjoying music in your cars. In the MK6, I just chucked an iPod onto MDI and voila. In the MK7, what are our options? Whose using Bluetooth streaming, Android Auto (Spotify, Google play music), CarPlay (spotify, apple music), SD card (is that even possible? ), CD/DVD (I assume thats why i have it in the glove box). what are your impressions on quality? I'm mostly using Apple CarPlay (streaming) though it's chewing my data insanely, but it seems pretty cool. I need to get organised and save some music on my phone. There's a few little user friendly issues which I imagine will be ironed out over time, eg to get back to CarPlay after using another function (eg Nav) it takes a few menu clicks, would be good if there were a specific button for it. I agree, with the right source, the sound from the system is pretty decent. Has a very clear, wide soundstage. 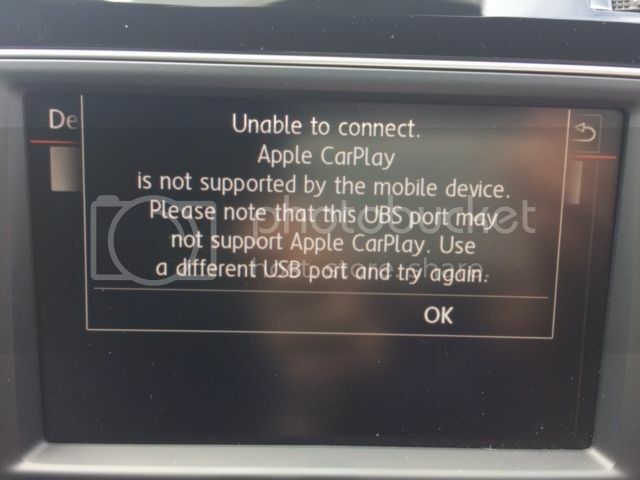 I'm starting to shy away from using carplay/android auto, as I dont think they are that convenient for short trips (having to plug in and put into cubby). I may still use it on longer drives though. I use a Sony Xperia Z3. Most of my music files are above the standard CD format (44/16). The native system in the Mk7 does not recognize FLAC, let alone a Hi-Res file (such as 192/24). Not that I need Hi-Res in my car, as only very high end audio systems really benefit from the higher grade files, but I'm too lazy to keep multiple formats, so I used to just stream it via the Xperia Z3's HiRes audio player. Android Auto does not support the HiRes audio player, and the other compatible apps cannot read these files. Looks like my options are either to convert it into 320bit MP3 or use Bluetooth. Sound quality is very average with the speakers (independent of what I think of Android Auto and format compatibility). I'll be exploring cost effective ways to improve the sound quality. I'm not looking to spend thousands. So how are you playing the music from your Z3 at the moment? I'm just using the native software on the phone and connecting the phone via Bluetooth. Android Auto is still too new. I'll let it grow a little. By then, I'll probably be in a new phone too :P (On one of those plans that gets a new phone every 12 months). Z5 Premium, here I come. yeah that Z5 Premium looks sick. I'm enjoying it via CarPlay. The physical cable connection doesn't bother me at all. Spotify's buggy but works most of the time. The one time I tried Apple Music, it had buffering issues. As for sound quality, it's ok, but I'm looking at audio upgrades if the speakers don't improve after a bit of wear.....might go a better amp first as the speakers are meant to perform better with it. As an audiophile and a former musician who spent a lot of time in music studios, I have to say that the audio on the MK7 R is disappointing. For a car around that price range, I expected the stock audio to be a lot better or maybe it's just me who is very picky in terms of sound quality. Previously I owned an Audi Q3 when I lived in the US and the standard audio was a lot better than the MK7. All my previous cars have either an upgraded system from the factory or I upgrade them myself, I was surprise that with the MK7 R you don't even have the option to upgrade it from the factory here in Australia. As soon as I finish my other upgrades (come on APR, release those downpipes for the R), then I'm definitely upgrading the audio. I guess stock audio is often bad. Even the stock audio (Europe, non-Bose) on a Porsche 911 is widely criticised as horrible, and many will say that even the Bose (standard in Aust, optional in Europe) is not good. Those will pay the $8k to have the Burmester.